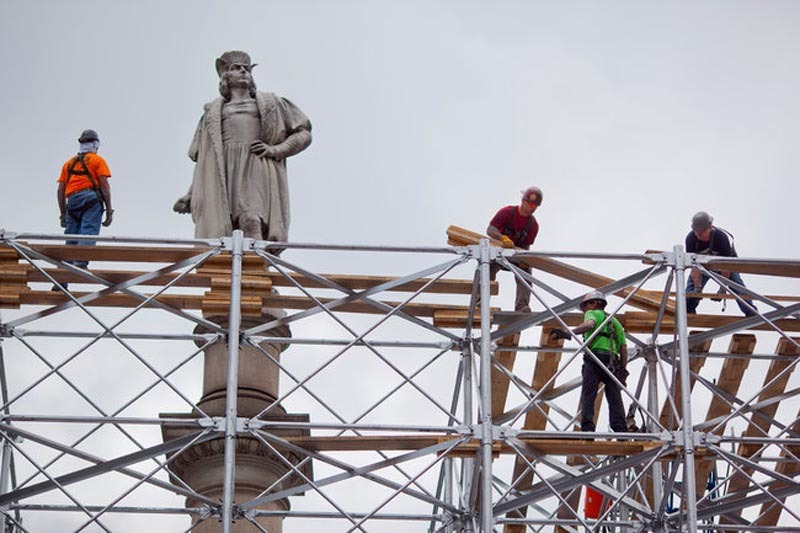 A couple of days ago we passed by Columbus Circle on our way uptown and noticed massive amounts of scaffolding around the Christopher Columbus statue. I assumed they were doing some repairs but, as it turns out, not at all. Em pointed me to the NY Times article that announced the new Public Art work by Japanese artist Tatzu Nishi, currently being built and due to debut on September 20th. The plan is to build a living room complete with couches, lamps and even a TV that surrounds the statue, six stories up from the ground. Visitors will be able to climb stairs or take an elevator up to the floating living room with Christopher Columbus’ head popping through the floor. Sounds very zany but very fun, too. This is not the first time, nor probably the last, that Tatzu Nishi does something like this. Other similar ventures include surrounding a statue of Queen Victoria in Liverpool, England, with a temporary functioning hotel; creating a one-room apartment over the roof of a 14th-century cathedral — enclosing a bronze, angel-shaped weather vane — in Basel, Switzerland; and building a temporary hotel suite around the Merlion fountain in Singapore. 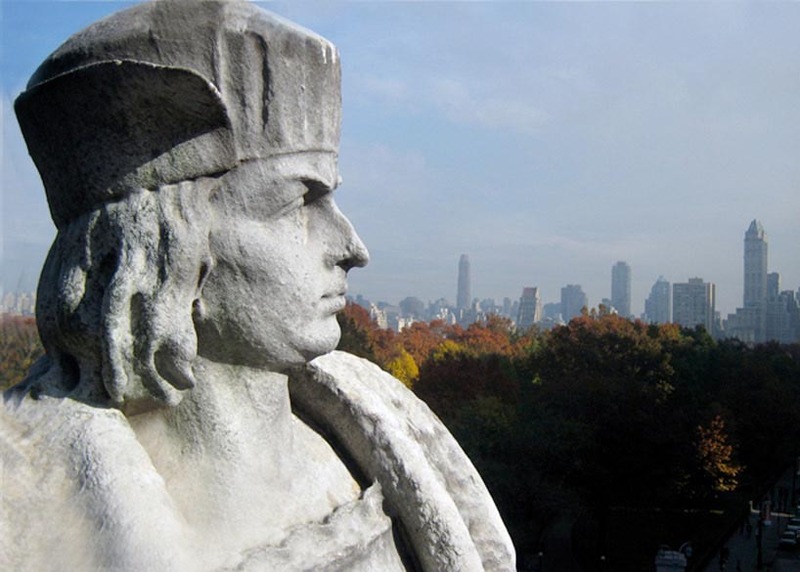 Discovering Columbus will be open to the public from September 20 to November 18, 2012. Admission will be free, but visitors will be required to reserve timed passes in advance through the Public Art Fund website. Photos courtesy of the artist and the New York Times. This entry was posted in Architecture, Art, Event, Fun, Just Plain Cool, NYC, Street Art, Stuff We Like. Bookmark the permalink. i’m having trouble getting the ticket request to finalize, troubleshoot? You might want to direct your question to the Public Art Fund’s website. This is just a post linking to them. I do know from my own personal experience yesterday, that you have to fill out all the info as if you were going to pay (except credit card info) and then it finalizes. Good luck!